Lots of teachers use Twitter, whether as a professional learning tool, or simply in their personal lives. Perhaps more than many other social network, Twitter is a great place to connect with all kinds of other inspiring and amazing teachers. 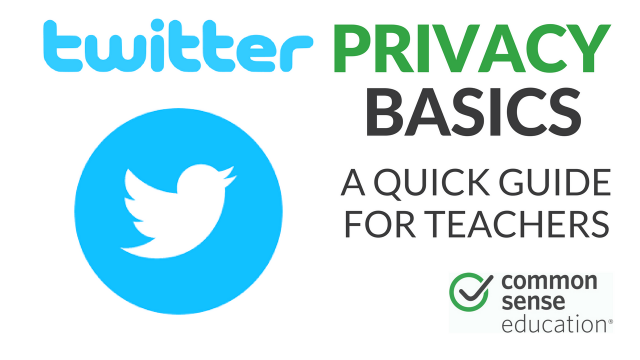 Unfortunately, there's a lot for teachers to know when it comes to Twitter's privacy settings. This video offers a breakdown of some Twitter privacy basics, with some important notes for teachers. For more resources on privacy, check out our Protect Your Students' Data and Privacy page.